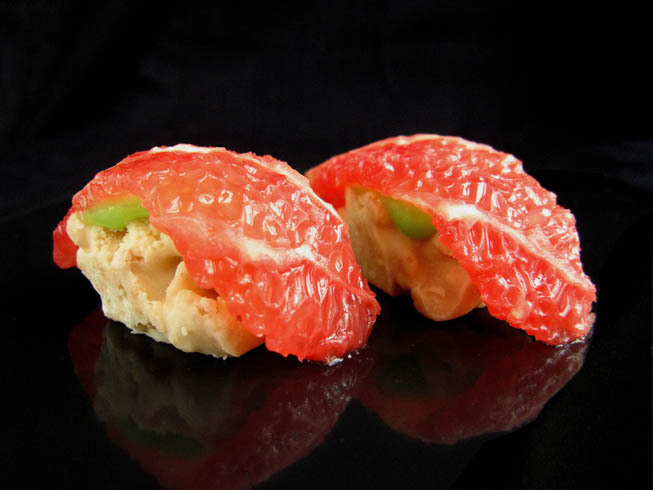 If you think these are real sushi, look closer. They are actually made up of grapefruit slices, white chocolate, Kellogg’s Rice Krispies and green vanilla cream. Crispy-chocolatey at the bottom, creamy in the middle and fresh’n’ juicy on top. 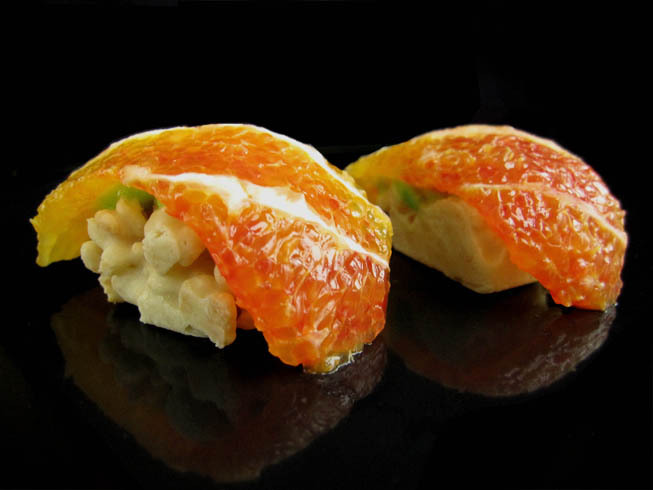 You may already know that there are countless variations of fruit and candy sushi – google them and you will be overwhelmed. If you want to make realistic looking fake fruit sushi in an effortless way, citrus fruits are one of the best options. If you cut them in a certain manner, their flesh bears a striking resemblance to the texture of fish used for nigiri sushi. Most fruit sushi recipes I’ve encountered so far call for sushi rice or sticky mochi rice, but grapefruit on top of cooked rice just feels kind of wrong so I decided to go with toasted rice cereal. 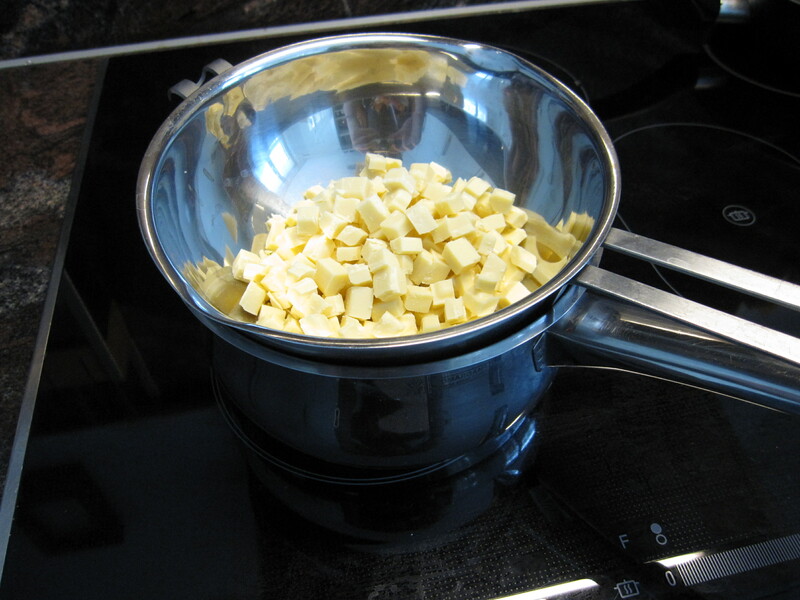 Chop the chocolate coarsely . Melt the chocolate slowly over a hot water bath. 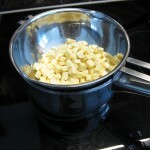 Transfer the melted chocolate to a separate bowl and mix it with the Rice Krispies using a rubber spatula. 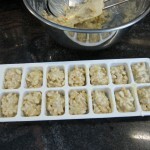 Fill the mixture into an ice cube tray. Be careful not to oversize the pieces. 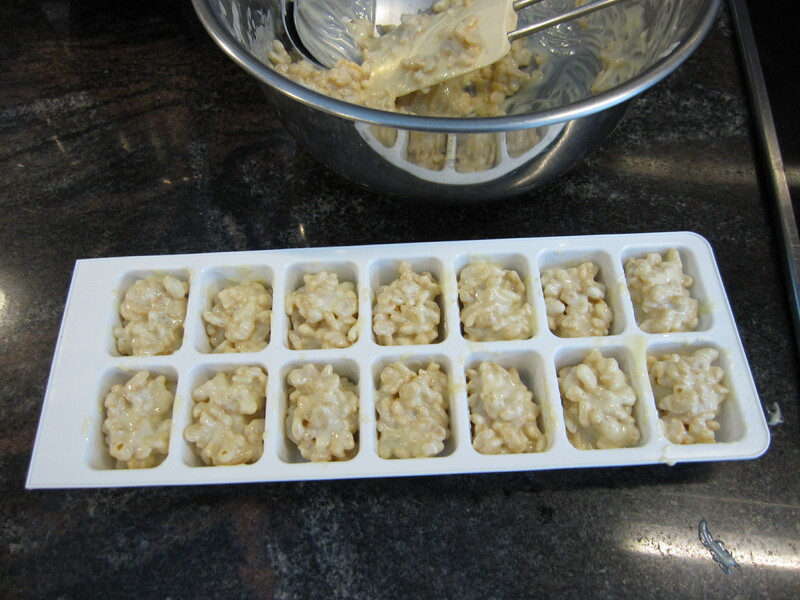 You should be able to fill about 30 ice cube holes halfway. Let the fake rice base cool down. 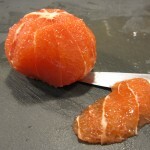 Cut away the grapefruit and orange peel with a sharp knife. 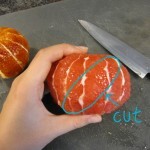 While you do this, keep 2 things in mind: Avoid cutting sharp edges into the fruit and leave some of the white part on it. The white pattern looks like fish fat and accentuates the texture. 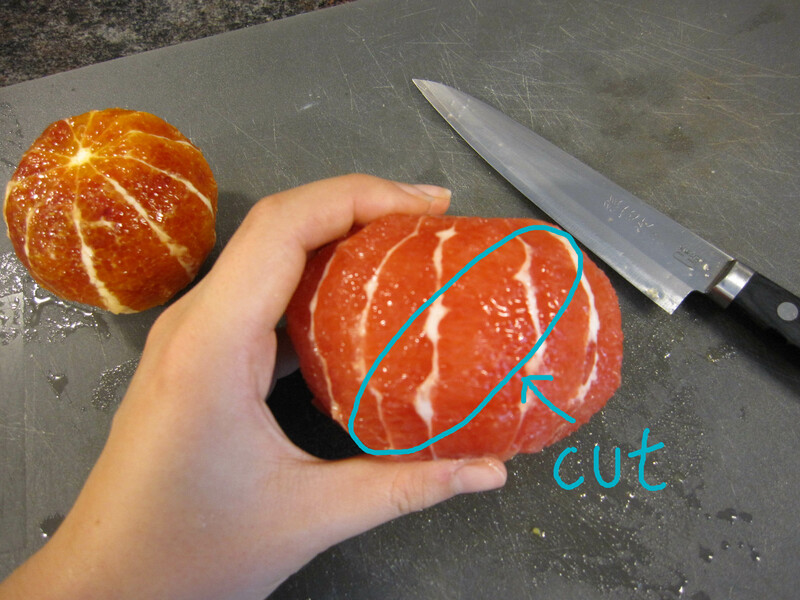 If you are right-handed, hold the fruit in your left hand and cut diagonally starting from the top right going down to the left. The white stripes should not be parallel or perpendicular to the cut edge. Rotate the fruit and repeat. You should get about 4-10 pieces per fruit. 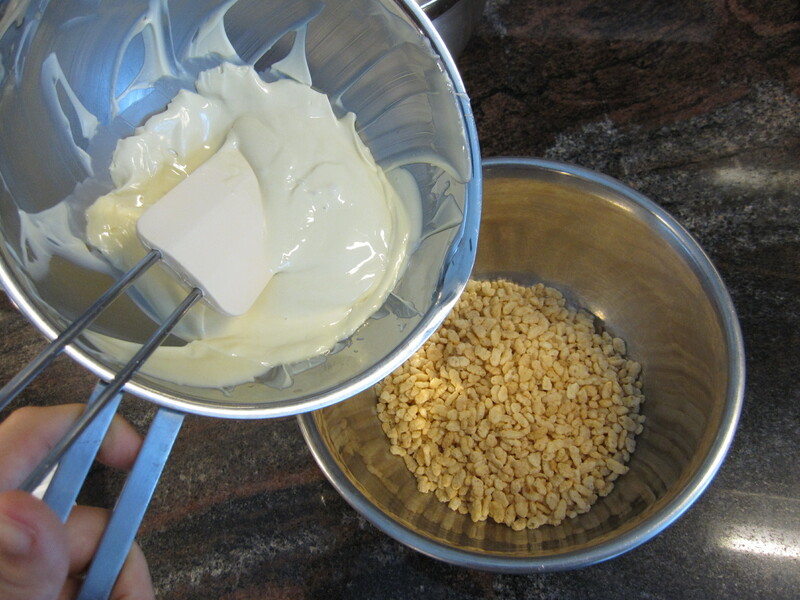 Prepare the the instant vanilla cream following the instructions on the package, but use only half the amount of liquid it calls for in order to get a thick cream. For example, I added 125ml instead of 250ml milk. 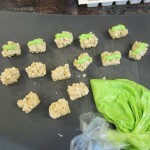 If you want to, you can add food colouring or matcha green tea powder to get the fake wasabi look. 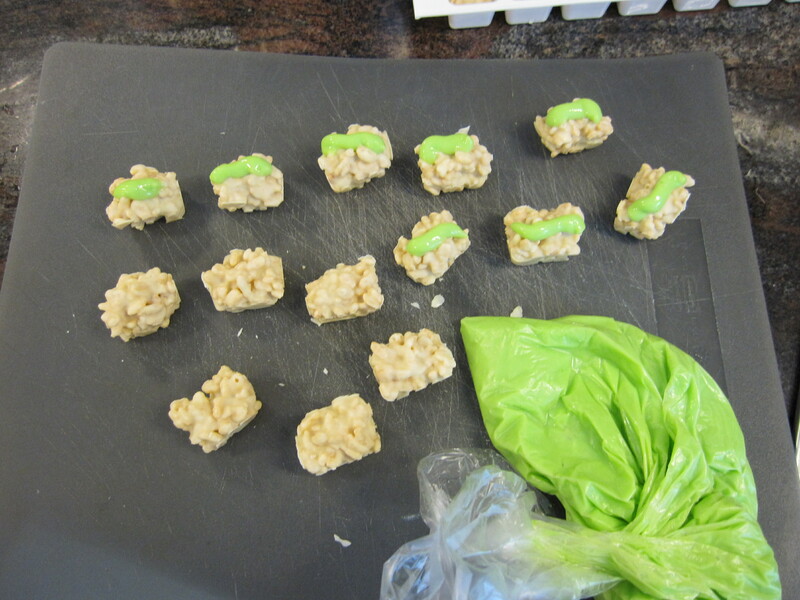 Press the fake wasabi cream though a piping bag onto the fake rice base. Picture note: If this was real sushi, the amount of wasabi would be ridiculous! Lay the fruit slices quickly on a piece of kitchen paper so they won’t be too watery. Place them on top of the fake rice base. The fake wasabi acts as an adhesive. Serve chilled and, for easier deception, under dim light conditions. that’s genius w the citrus! 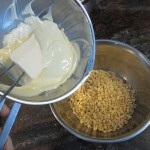 Saw your pic on photograzing – I love this! 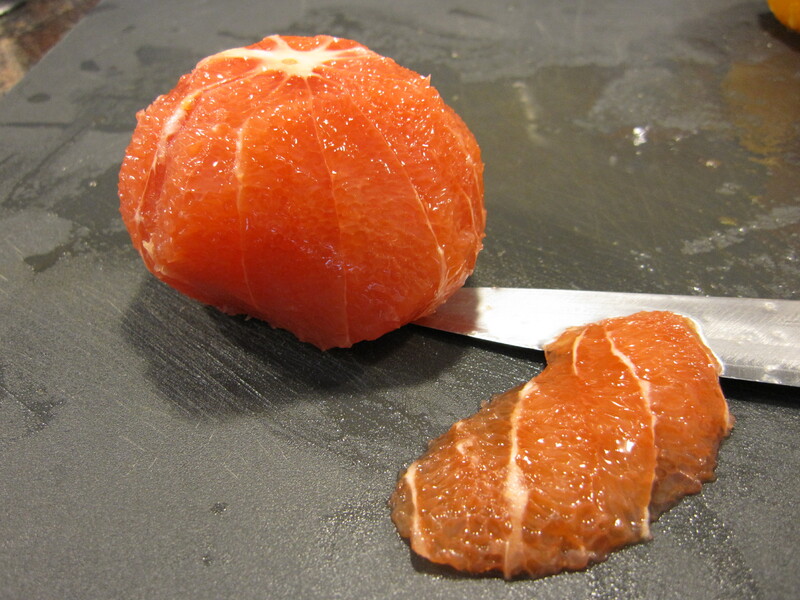 Grapefruit is a great doppelgänger for tuna sashimi! Thank you! Well, nature sure is funny sometimes. I love this so much… it really does give off the impression of being “real”. Yum! Believe it or not, this is my first encounter with candy shushi and I am overwhelmed! great post – I am loving your blog! This work is licensed under a Creative Commons Attribution-Noncommercial-Share Alike 2.5 Switzerland License.